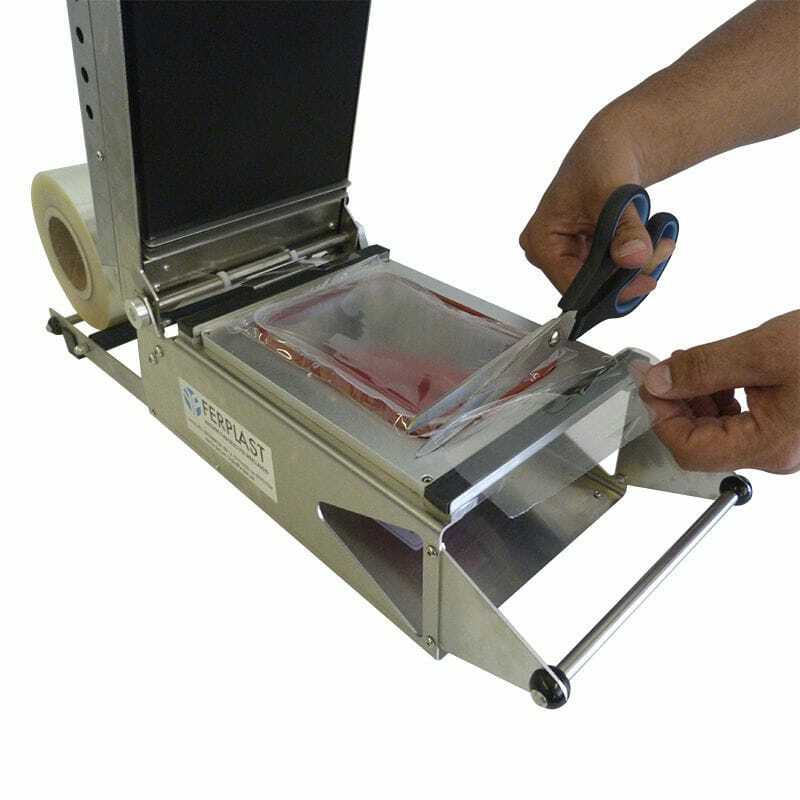 Simple, professional, bench thermosealers, suitable for closing food trays. 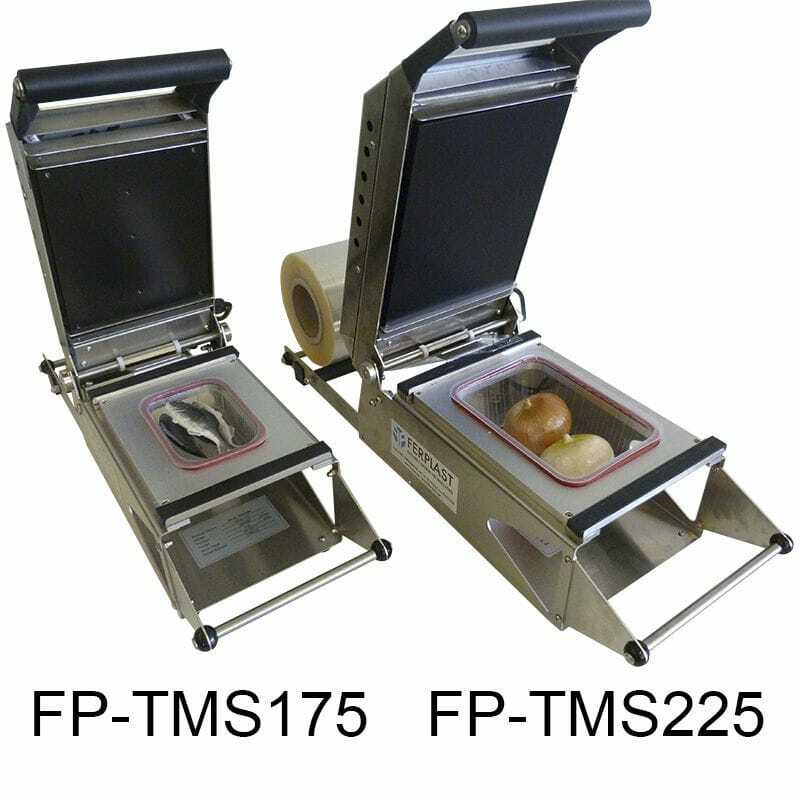 The FP-TM thermosealers are equipped with a hot plate that, manually lowered by the operator, allows the plastic film to be sealed onto the plastic trays, sealing and protecting the contents. 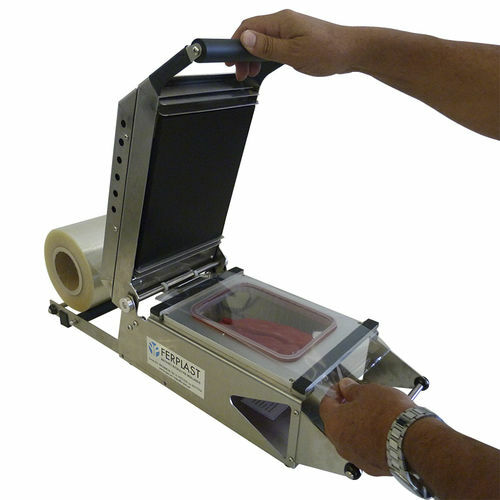 The FP-TM thermosealers are equipped with a temperature selector that makes them easy to use on any type and thickness of film/trays. 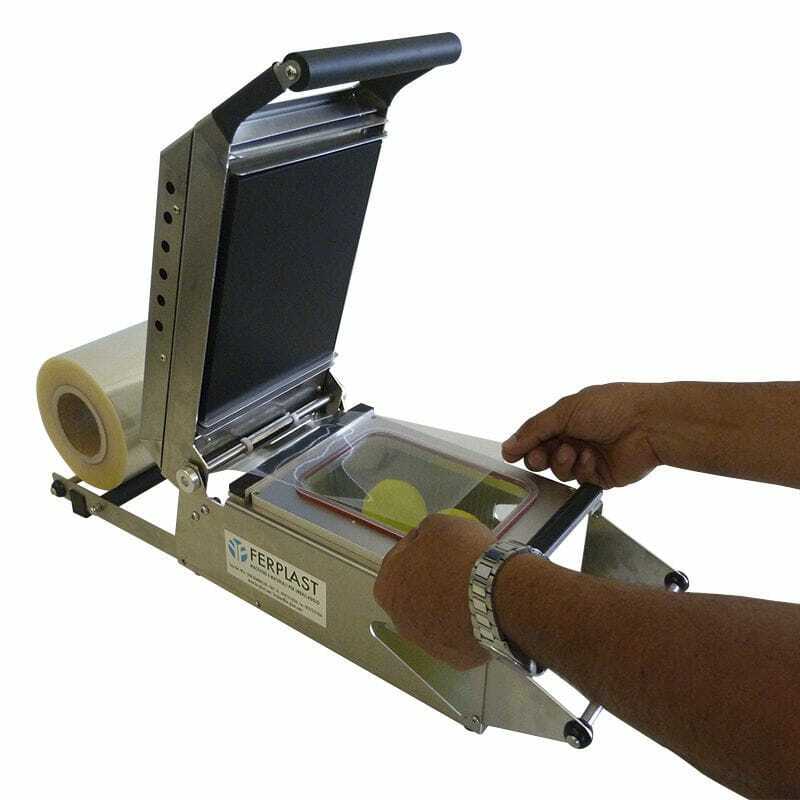 Depending on the machine and mold purchased, it is possible to heat up a trays or two trays simultaneously. 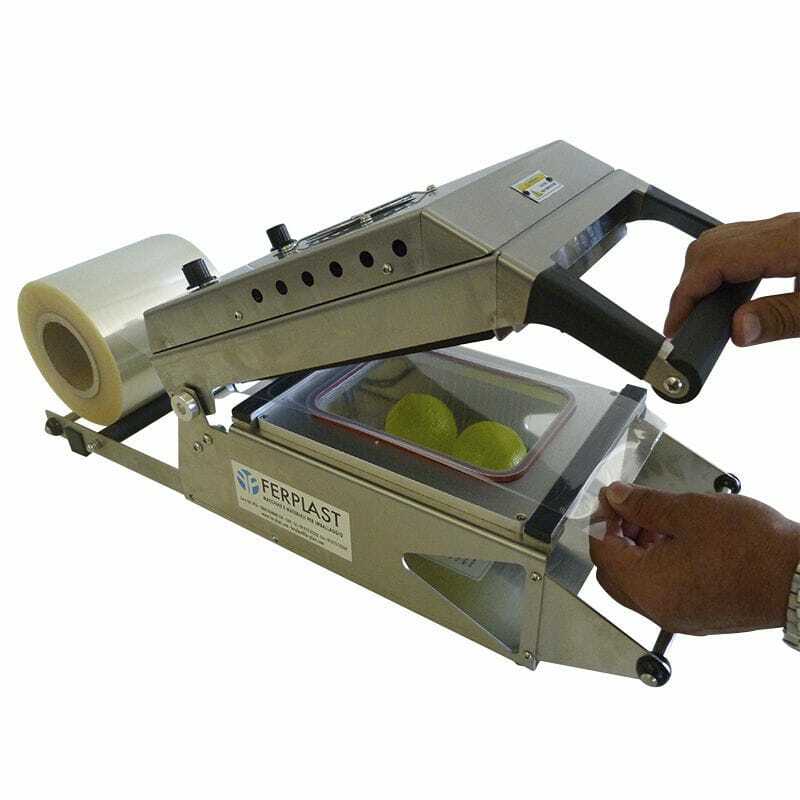 For each type of tray you must use the relative mold.